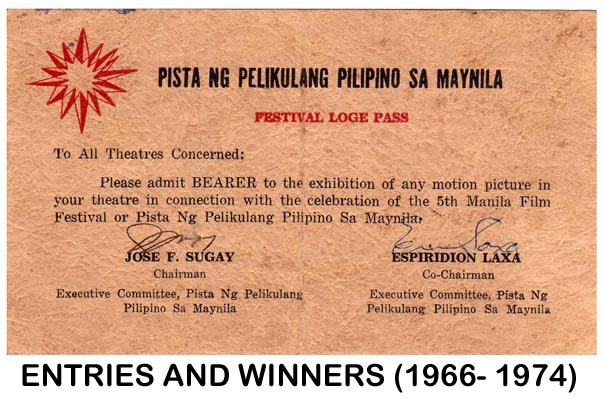 PEQUE Gallaga was recently awarded The Natatanging Gawad for Lifetime Achievement for Filmmaking from the Manunuri ng Pelikulang Pilipino during the 32nd Gawad Urian last September 19 at the Cultural Center of the Philippines. 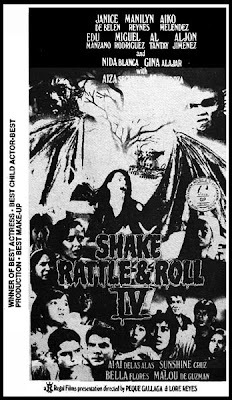 The waxing and waning of the fortunes of mainstream cinema seems reflected in the person of Gallaga, a serious filmmaker with a track record of box-office hits and successful remaking of commercial genres, particularly of horror and fantasy movies. 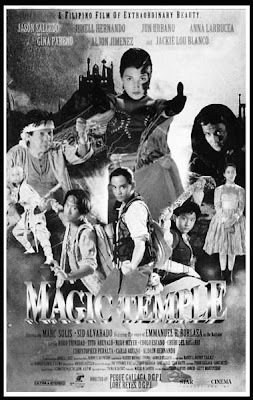 As mainstream commercial cinema struggles, independent and out-of-studio films have shown vibrancy and resilience, even catapulting Filipino movie to new global renown. 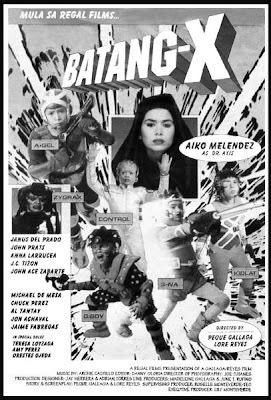 Part of these stirrings of hope can be gleaned from the emergent regional cinema, whose mentorship and encouragement owes to Gallaga’s selfless tutelage. 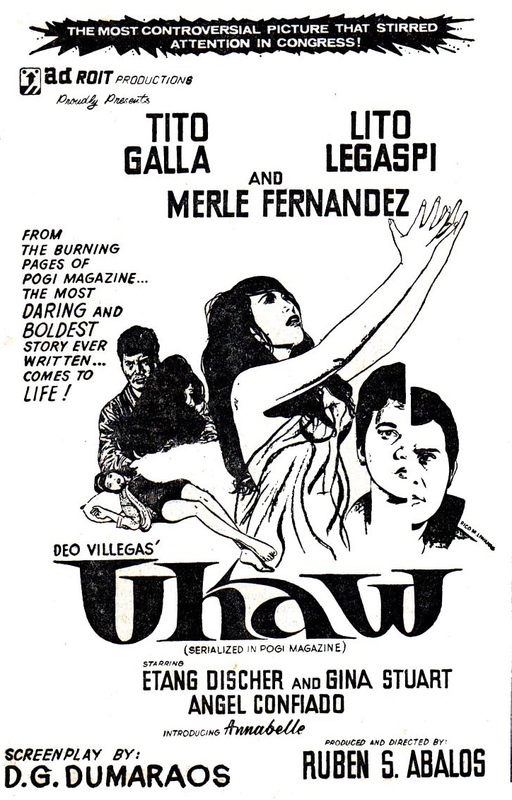 Gallaga has won several Urian awards: Best Director for “Oro Plata Mata” in 1982; Best Production Design for “Ganito Kami Noon, Paano Kayo Ngayon?” (together with Laida Lim Perez) in 1976, and for “Manila By Night: City After Dark” in 1980. 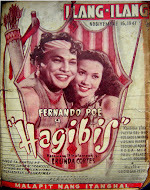 Gallaga entered into prominence with “Ganito Kami Noon...” directed by Eddie Romero. 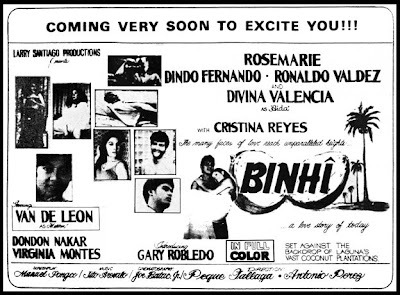 This important historical movie was shown on the same year as Brocka’s “Insiang,” Ishmael Bernal’s “Nunal sa Tubig,” Lupita Concio’s “Minsa’y Isang Gamu-Gamo,” Gerry de Leon’s “Banawe,” Mike de Leon’s “Itim,” Mario O’ Hara’s “Tatlong Taong Walang Diyos,” and Gil Portes’ debut movie, “Tiket Mama, Tiket Ale, Sa Linggo ang Bola” – making 1976 the peak of the second golden age of Philippine cinema. 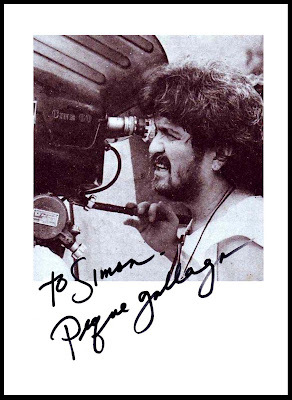 Gallaga’s early career illustrates the truism that great filmmakers do not necessarily influence each other; more practically, they work with each other, often in an unwitting sort of apprenticeship. 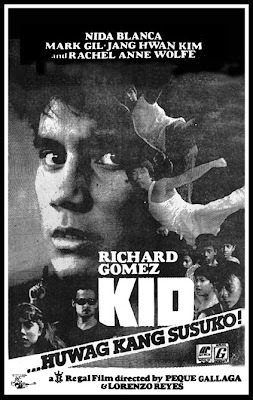 Brocka had worked with Romero as scriptwriter; Mike de Leon had worked with Brocka and later, Romero, as cinematographer. 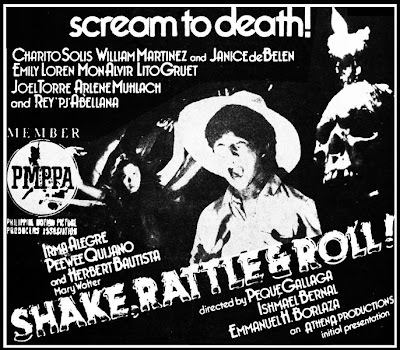 Gallaga, who finished Commerce and Liberal Arts at De la Salle University but had enrolled briefly in the architecture school of the University of Santo Tomas, had worked with Romero and Bernal (notably in “Manila By Night”) as production designer. 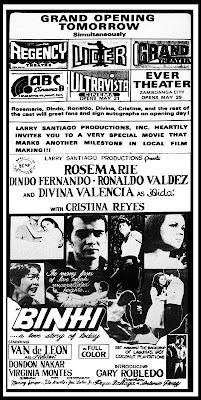 Also an actor, Gallaga played a part in “Tatlong Taong Walang Diyos,” and Brocka’s “Gumising Ka, Maruja” (1978). 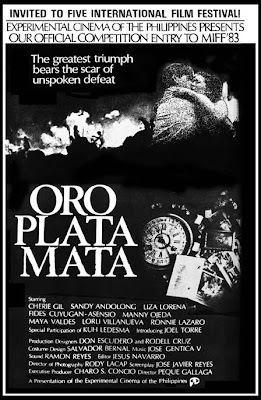 Gallaga would become a full-fledged filmmaker with his second directorial effort, “Oro Plata Mata” (1982), and later, “Scorpio Nights” (1985), arguably his two best movies. 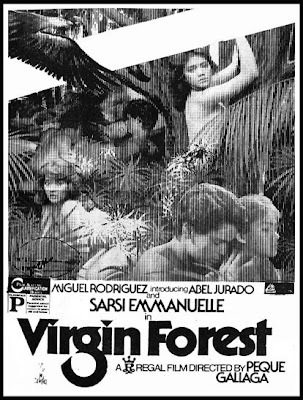 In both movies, Gallaga shows directorial breadth of vision and art director’s capaciousness, and it is hard to tell which is which. 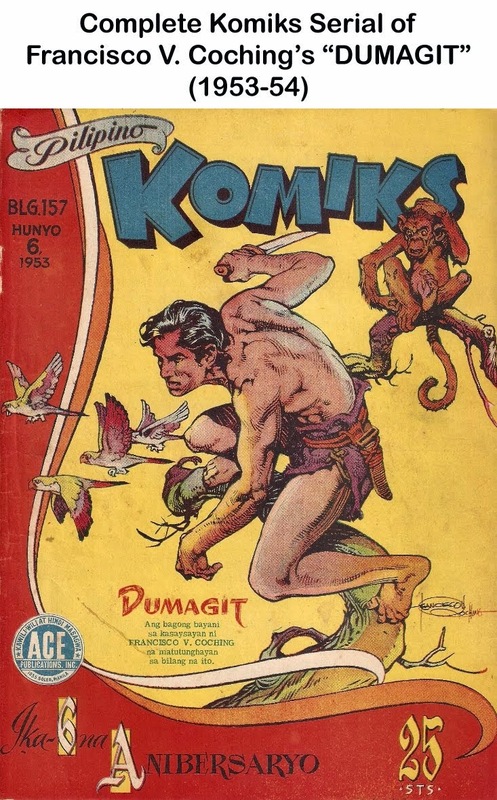 Since he’s also the writer of “Oro,” Gallaga may have demolished the classic auteur theory or embodied it in its fullest sense: he is author and creator in one. 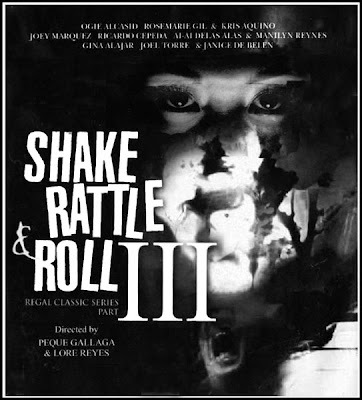 Gallaga continues to make movies while based in his hometown of Bacolod, where he is artist-in-residence, and where he teaches theater and film at the University of St. La Salle. 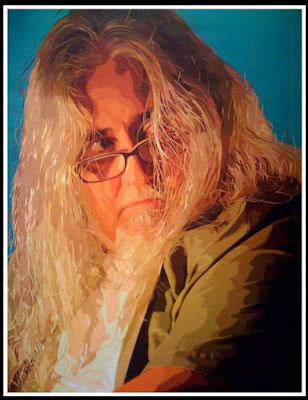 He has mentored future filmmakers and media artists, including Jay Abella, Manny Montelibano, Vicente Groyon and Richard Somes. A multi-variegated artist of intrepid vision and incredible stamina, Gallaga has become one of our few elder statesmen of the cinema arts. 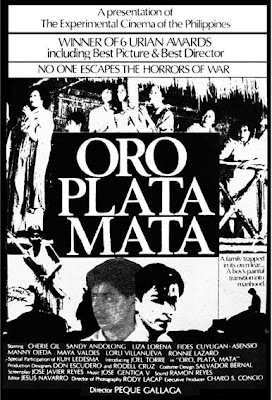 Here’s one horrifying and tense scene from the 1982 movie, “Oro Plata Mata,” ---a family leaving their ancestral home and fleeing to the hills when the invading Japanese forces were closing in ---a very horrible and scary scenario of how war decided the fate of a family as their fortunes gradually went down the drain. Peque at his best! Congrats, if you happen to be reading this. 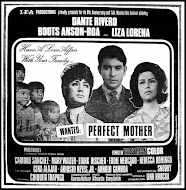 Though I've seen just three or four Peque Gallaga films, I liked all of them. 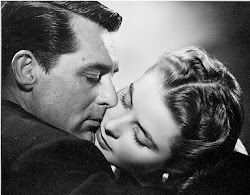 These films have grittiness in them that makes them very watchable and enjoyable. 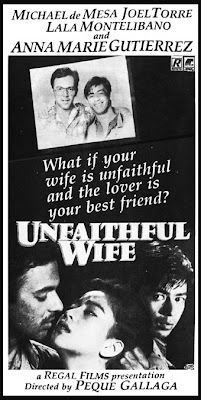 Another Fipino filmmaker with the same panache is Jeffrey Jeturian. I like his TUHOG (Eskewered) very much. Both these guys films remind me some of those French filmmakers: Rebellious and possessing "the devil may care" attitude. Yeah, just like Goddard in his heyday. That photo is a nice period piece. Those were the days when advertising was alive and kicking and ad agencies hired people to work for them exclusively (in fact, they pirate each other's people). In the 80s the whole scenario changed. Everybody became freelancers and the camaraderie disappeared in a wink of an eye. These days, it's worse. We just telecommute. No more interaction with your co-workers. Bring back the good old days. Those were in fact the best years of my life, working in advertising. It was fun, working with crazy, talented people. 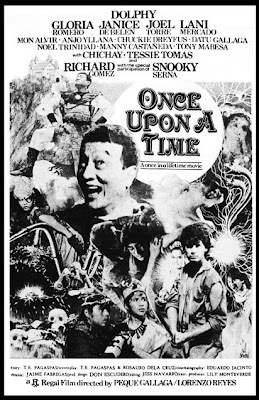 I had the opportunity to shop talk and banter with Peque when he came to Iloilo City a couple of years ago, when there was some filmfest held at SM Mall in Mandurriao. The conversation lead to the virtues of piracy within the context of THIRD WORLD REALITIES. Nice Banter! I remember you telling me about this in one of the blogs, or sites we often visit. Nice photo, Rod! What year was that? 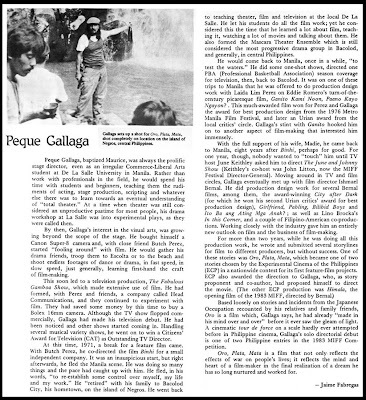 The early years of Peque, maybe around the early 70s. Can I use and put it up so others can see? Thanks for sharing! That photo was probably earlier than 70s, I'm not sure now, but I started working for Ace-Compton in 1966, I think Peque came on board a year after that, so that photo must have been 68 or 69. And I think it was a Christmas party. 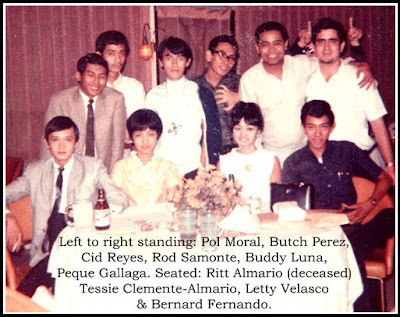 BTW, the other person in the photo is Butch Perez who's also an established film maker. However, I don't know much about his movies. 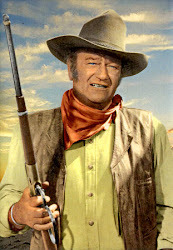 During our advertising days, he was the one always lugging his video camera around. I had no idea Peque would be such a success as a director and an actor too. 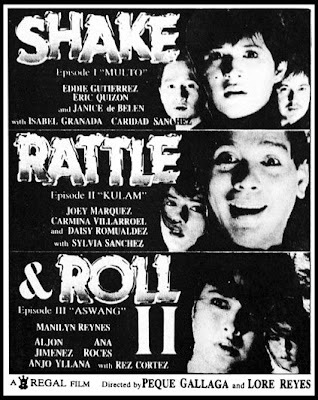 Also working at the same agency (Ace-Compton), at the same time were, Noel Trinidad (and his brother too, forgot his name) I think he was an AE, and Leo Martinez, working in media, both became establish Filipino actors. 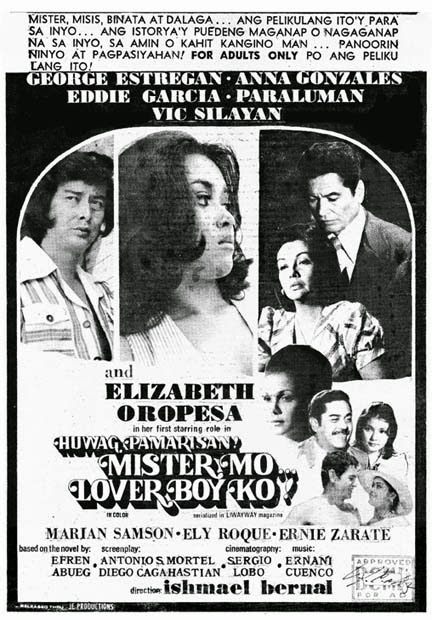 Not to mention National Artist J.Elizalde Navarro, who was our creative director, and Manuel Duldulao, who was an Account Executive too. 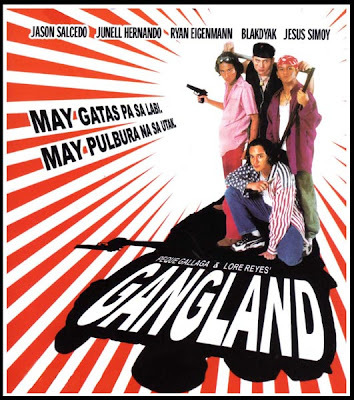 looking at his filmography one cant help but notice that its all downhill-artistically wise-from the start of his collaboration with lore reyes to the pinoy blonde(with the only bright spot-for me-are gangland(a great underrated film) and baby love). 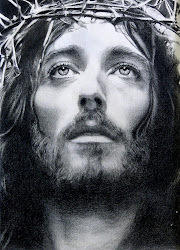 Hearing the praise of the critics with his current picture im hopeful that he got his mojo back. 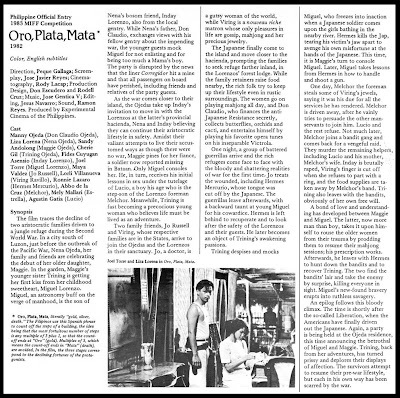 I've been a fan ever since I saw ORO PLATA MATA back in the 80's and its the film that made me awe about Phil. 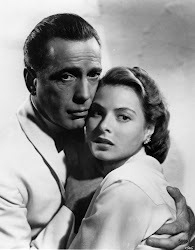 Cinema. 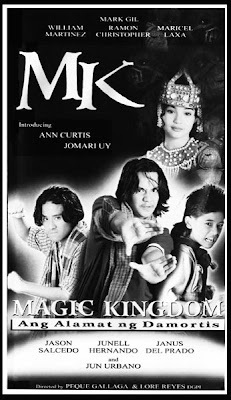 He's back on the right track again with AGATON & MINDY and I believe some of his collaborations with Lore Reyes are worthy particularly WAKWAK, SRR 2, BABY LOVE, GANGLAND, & ONCE UPON A TIME. 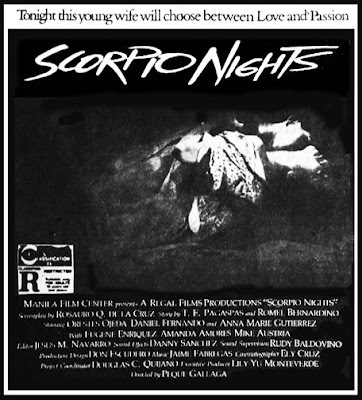 His films have such a distinctive mark and high production values that differentiate it from other Filipino films. 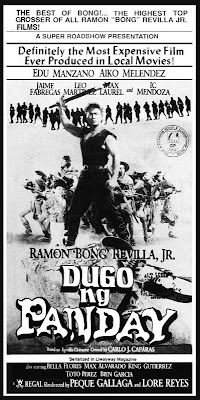 What a wonderful Filipino cinema we had because Peque Gallaga. This is Gerald Vista of GMA 7. 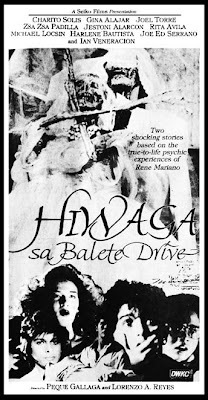 Can I use the photo of Direk Peque posted on your blog for an episode about Lilia Cuntapay I am working on? I shall place Video 48 for the courtesy of the photo. 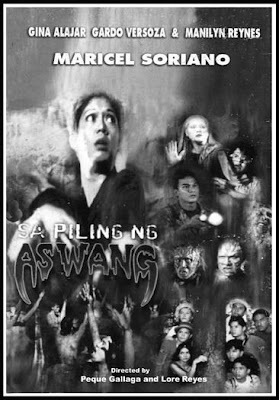 The segment will air on October 28, 2011 at GMA after Saksi. 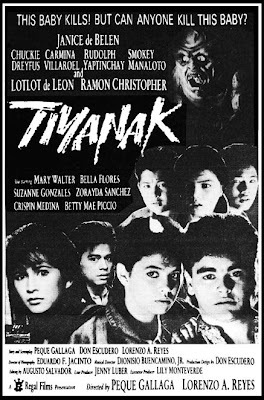 Ito yung pelikula na gusto ko, kung tama ang aking natatandaan - dito ako naguluhan, na-intriga, nag-isip at natuwa. 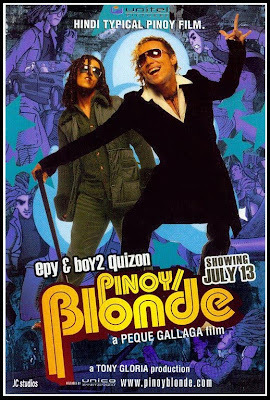 The chemistry behind the volatile and explosive combination of Gallaga and the Bad Bananas is one that few failed to appreciate. 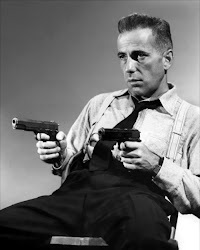 A time when absolute rebellion from the norms. 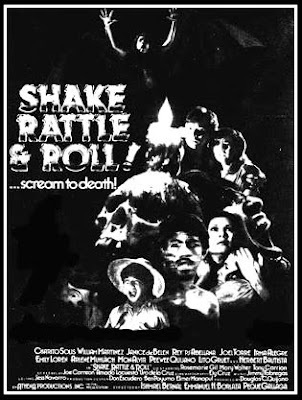 I would love to own a copy of this on disc.